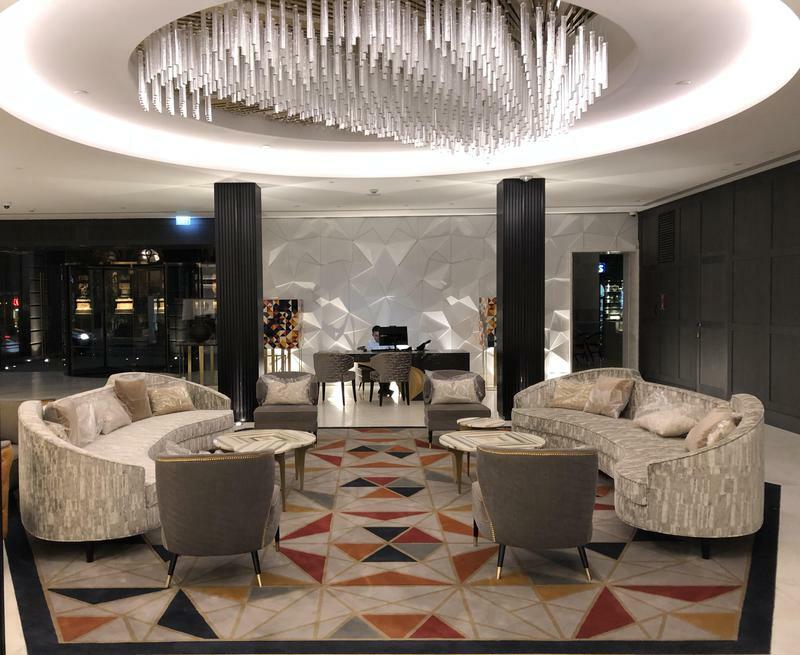 Brintons have been chosen to supply carpets for The Alexander, the first Luxury Collection Hotel in Armenia. 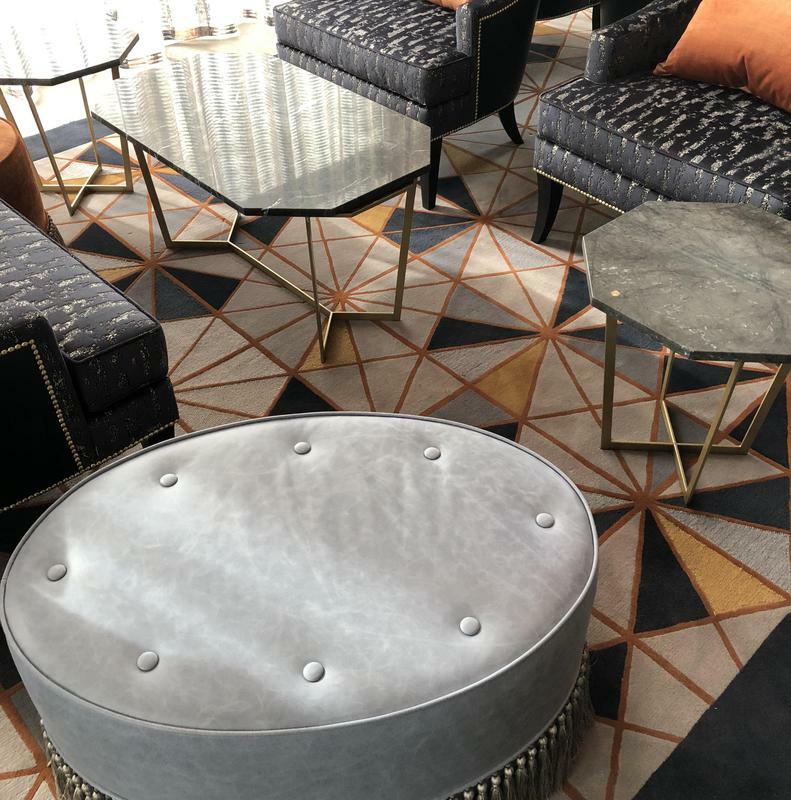 The hotel features bespoke Brintons carpets inspired by traditional Armenian motifs throughout the property. Brintons were commissioned by construction group MonArch and collaborated with London based interior design firm Alexander James Interiors. 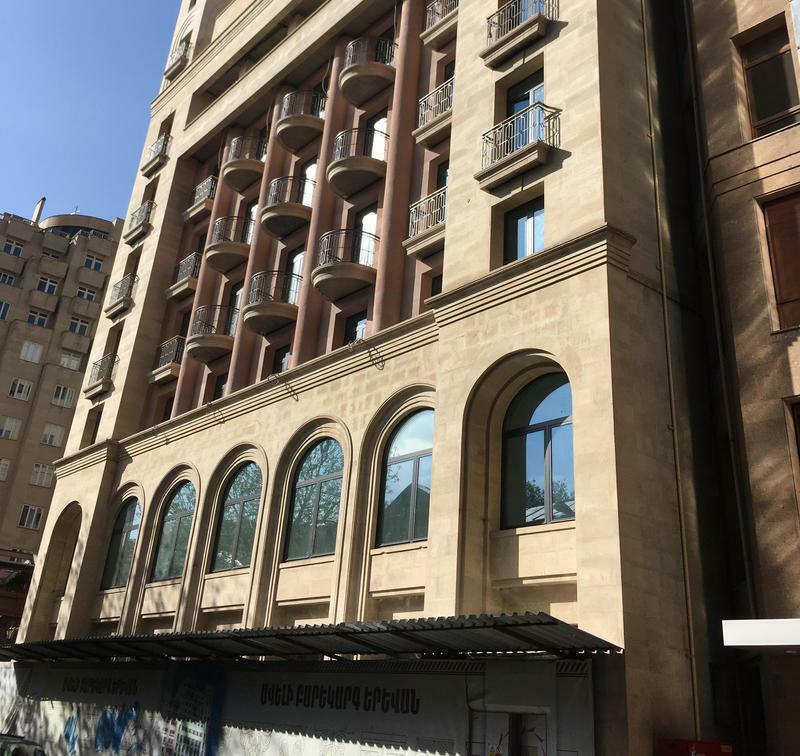 The Alexander is the first international luxury hotel in Armenia, and is located in one of the most prestigious addresses in the capital, close to the Republic Square. The hotel attracts international business clients and tourists. The city of Yerevan is a contemporary capital that offers a number of cultural attractions including Armenia’s largest art museum. influence drawn from the ancient Armenian’s worship of the sun. Lead Designer at Interior Design firm Alexander James Interiors. 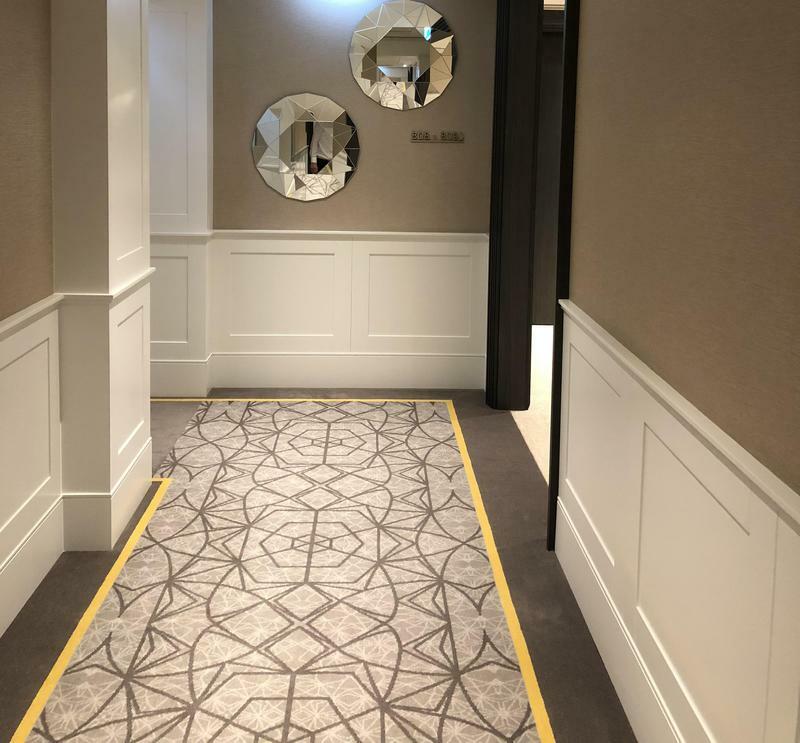 Brintons created bespoke geometric carpet designs in collaboration with interior design firm Alexander James Interiors. using a neutral grey colour palette for the base, with accents of orange and yellow to add warmth and depth to the pattern. 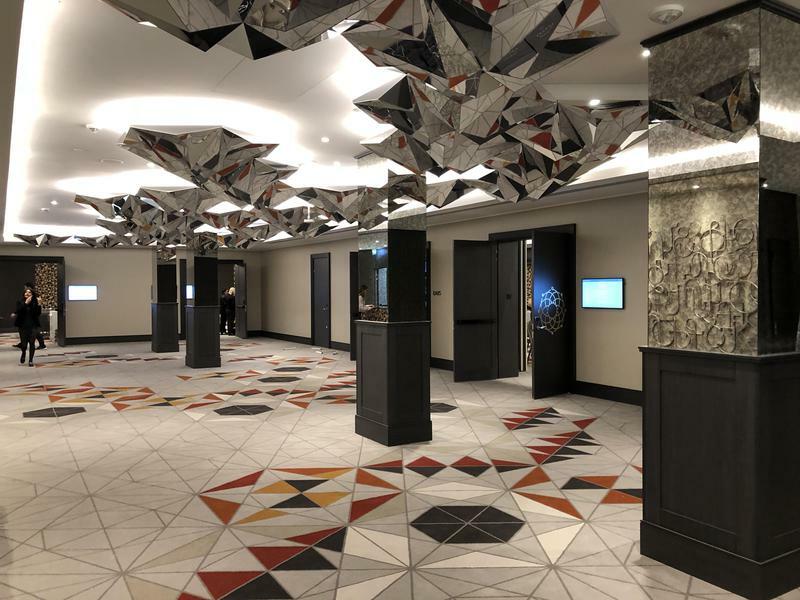 These designs draw inspiration from the patterns found on traditional Armenian carpets to create fluidity between the style of the hotel and its environment. 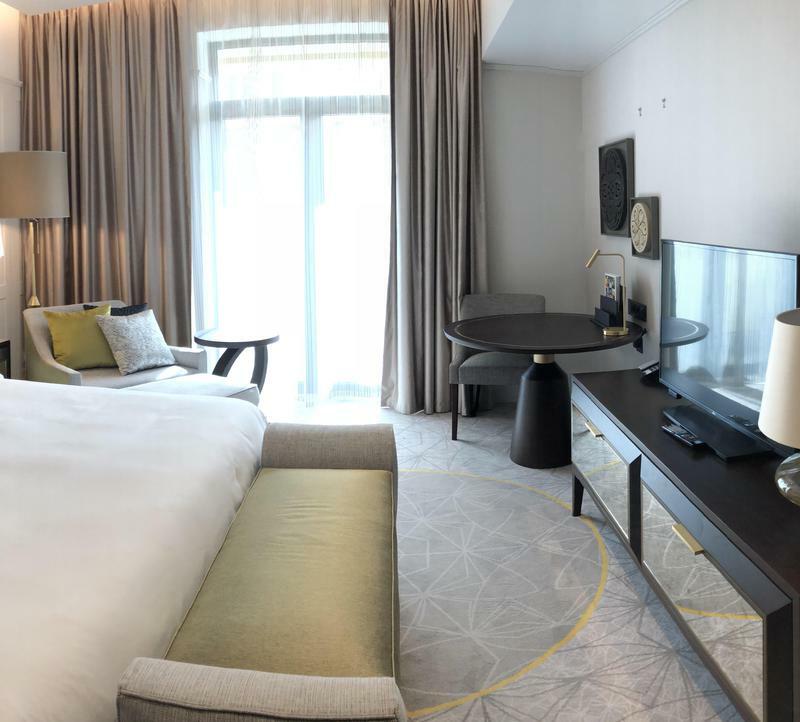 The hotel hosts 114 guest rooms, including 17 suites and one Presidential Suite, event and meeting spaces, including a ballroom and business centre, unparalleled wellness facilities, a restaurant and a lobby bar. 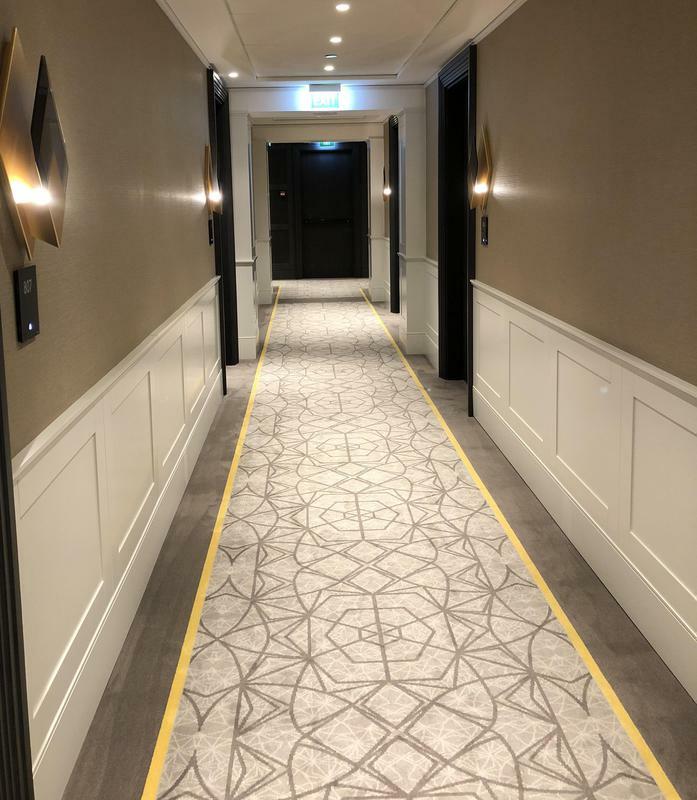 Brintons carpets are featured within the guestrooms, corridors, conference area, lounge, restaurant and Presidential Suite. 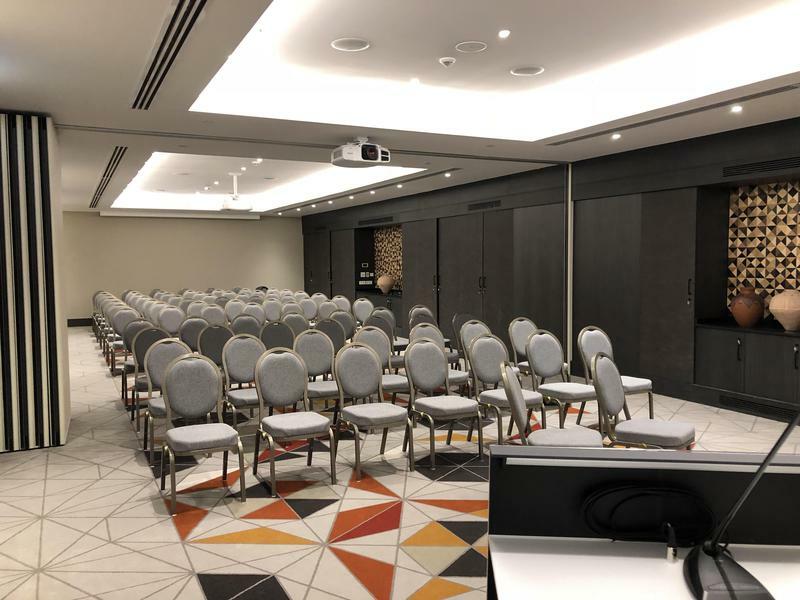 This was the second time MonArch elected to work with Brintons, after the manufacturer supplied 26,000 sqm of carpet for the Renaissance Moscow Monarch Centre Hotel in 2009.